Jodi has a background in journalism and public relations. While at Edelman, the world’s biggest PR firm, she supported Silicon Valley start-ups and global tech clients, including HP, Symantec, Samsung, and AMD, leading their product launches, earnings announcements, thought leadership programs, and more. She also frequently volunteered to counsel nonprofits focused on children’s education and advocacy, such as Teach for America-Bay Area, the Children’s Discovery Museum of San Jose, and the Silicon Valley Education Foundation. Her passion for working with nonprofits, led her to join the Foundation, where she could devote her efforts to promoting children’s well-being full-time. She has previously served on the board of the San Jose Public Libraries and as a literacy tutor. 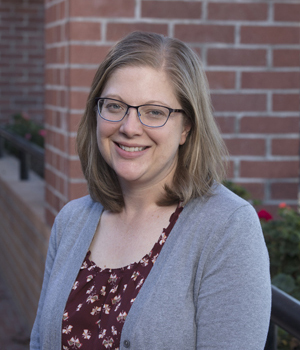 She has bachelor’s degrees in English and Communication from the College of Saint Benedict in Minnesota and completed graduate coursework in English literature at San Jose State University.